This book is a fun read. I've been looking for some great MG reads and this caught my attention. 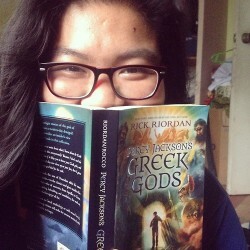 Sadly, it didn't blow my mind like Harry Potter or Percy Jackson but I think it's more because of my age and maturity as a reader. I did enjoy the reading the book, but it felt too rushed. The world-building was good. I think any middle-graders would enjoy this one, especially book lovers. This book is about book caretakers! How amazing is that? Archie was an amazing character. I admire his bravery, intelligence and sense of adventure. The secondary characters had pretty good dynamics as well. I loved the wittiness of Old Zeb and Archie's cousins always make me smile! If only the book didn't feel too rushed, I think I would have loved it more. 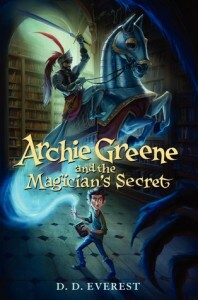 I think I was just looking for something that would blow my mind with all it's magic and adventure like Harry Potter and Percy Jackson and I think that's pretty unfair to this book but I'm pretty sure middle-graders would love to meet Archie Greene.